Marketing gimmick? Stroke of sweet genius? 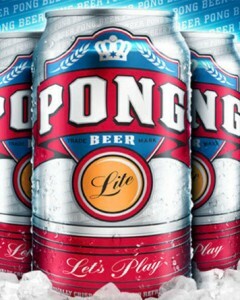 Either way, Pong Beer may be coming to a store near you. How is Pong Beer different from other beers? Pong Beer’s principal distinction is the “Rack Pack,” a 30-pack of beer that comes with two ping-pong balls for the “low, low price of free,” says Nick Rallo at The Dallas Observer. Two 30-packs gets you a “Reload,” a convenient package of 16-ounce cups and four ping-pong balls.